Herbert “Spencer” Boerner, 90, formerly of E Walters Street, died Saturday, May 8, 2004 at Columbia St. Mary’s Hospital – Ozaukee Campus in Mequon. He was born August 21, 1913 in Denver, Colorado the only child of Herbert Spencer Boerner, Sr. and Elise Knobel. He was raised in Cedarburg and moved to Port Washington graduating from Port Washington High School. He married Janet Mootz of Port Washington, Wisconsin on November 25, 1927 at St. Robert’s Catholic Church in Shorewood, Wisconsin. Together they lived on E Walters street for over 60 years. Most recently they made their home at the Harbor Club in Port Washington. Spencer’s grandfather started the former Boerner Bros. in Cedarburg and later in Port Washington, now Lueptows. His mother ran the former Smart Shop, a ladies clothing store currently Useldings, on Franklin Street for many years. 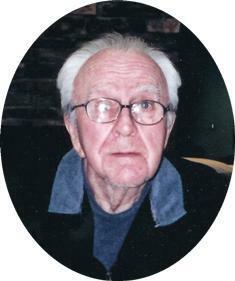 He was the Director of Quality for the former Harnischfeger Homes of Port Washington until the mid 1960’s when he became a registered agent for the New York Life Insurance Company. He retired in 1975. He is survived by his wife Janet and a son James Boerner of Milwaukee. A time of gathering and fellowship is set for Saturday, May 15, 2004 from 12 Noon to 2 pm at the funeral home. Memorials to St. Mary’s Church for masses or Port Catholic School are appreciated.